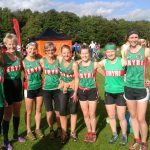 37 Eryri Harriers were amongst the 249 finishers in the 20th running of Race The Highland Train 5k at Caernarfon on Wednesday 19th July, some of whom had run in the Snowdon International race a few days earlier. Rob Samuel was a clear winner in a time of 14:26 for his 3rd win and 3rd best time in the event, Rob’s best time being 14:09 while he also clocked 14:21 when finishing 2nd to course record holder Matt Clowes 13:44 in 2012. Rob was followed home by Matt Roberts in a time of 15:18 with: 4th Paul Wathan 15:52. 6th Callum O’Donnell 16:29 and also making the top ten in 10th place; John Parkinson 16:48. Making it a double success for Eryri, Bronwen Jenkinson finished 11th overall and 1st female finisher in a course record time of 16:55, 5 seconds quicker than Gina Paletta’s time of 17:00 in 2012. Other Eryri category winners were: 1st FV/35 Louise Beetlestone 19:37. 1st FV/45 Helen Blair 20:04. 1st FV/65 Maggie Oliver 26:23 and 1st FV/60 Viv Edwards 26:47. The morning was warm, clear and fine, with a touch of breeze. At 2pm, 37 competitors lined up, and Spiderman sounded the hooter for the start. Off the runners went, out through the car park and on to the road through the village of Rowen, before 300m later, turning rights and the start of the ascent, first on tarmac up to the youth hostel, before levelling out a bit up along the old roman road to Cae Coch, and then after climbing the stile, up the grassy bank and then the rocks to Tal y Fan summit. The runners then benefited from the recent sunny weather, as the usually boggy bit was not too boggy, allowing for quick runs across the moors to the Penmaenmawr stone circle. Along the North Wales coastal path for a stretch before another right turn, and an uphill section (avoided by those running with heads down, who went left past the Old Llangelynin Church and down to the scout camp) back towards Rowen youth hostel, (except for those who failed to turn left over the wall and did a detour back to Cae Coch before realising their navigational error), and it was then downhill all the way to the finish back at the Carnival. Gavin Roberts, Paul Jones, Matt Lewis and Emlyn Owen had a close run race at the front of the field, with Gavin pulling away after the bridge (CP5). A big thanks to all our marshals and helpers, Mike Blake for sweeping up at the back and keeping the tail enders on the right track. Next year we may put up a few more arrows for the navigationally challenged. There were 40 Eryri Harriers competing in the Felinheli 10k on a rather wet and rainy Wednesday evening 28th July. Despite the gloomy weather, 337 competitors completed the road & trail race route through the Vaenol Estate to Parc Menai and back. Leading the way on his come back from a serious injury was Owen Roberts who finished a close 2nd to Race winner Martin Green (NWRRC – 35:00) in a time of 35:04. Miranda Grant was the star performer, finishing 25th overall and 1st female in a time of 39:19. A personal best for the distance for Miranda by nearly two minutes compared to 41:14. Other Eryri category winners: MV/50 – Noel Craine. 38:56. MV/60 – Iwan Edgar. 42:29. FV/40 – Nia Gwynn. 43:07. FV/60 – Vivienne Edwards. 56:42 and FV/50 – Ali Thomas. 46:46. It’s time to get the dates for this the 2017/18 cross-country season in the diary! 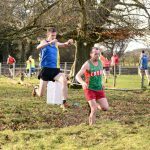 As was said by one of our members – ‘summer performance is made in the winter’ – the cross-country season is perfect for that – it keeps you going competitively over the winter months as there’s quick, tough ‘tempo’ running for those that want it alongside all-welcoming team spirit no matter what your ability. If you are interested but not sure what it’s all about, please feel free to get in touch. A few other key points – we arrange a FREE minibus to all away league events, and entry is also FREE. The first race starts at 2pm (ladies, U17 men and over 70s – approximately 5k) and the second race for all other mens categories starts at 2.45pm (approximately 8-10k). You must be a fully paid up member of Eryri Harriers to take part (2nd claim members contact me for info) but other than that you can just turn up and run! 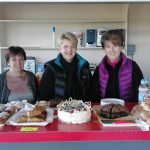 Here is last year’s roll call of contributors to last year’s league (including marshalls) – huge well done everyone, looking forward to this years league – the more the merrier so come and give it a go! 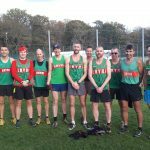 Arwel Lewis, Matthew Fortes, Russell Owen, Gary Porter-Jones, Paul Wathan, Eurwyn Edwards, Emlyn Owen, Paul Jones, Steve Jones, Steffan Rhys Evans, Aled Gwyn Owen, Rob Samuel, Maldwyn Evans, Hugh O’Donnell, Anthony Forest Bethell, Rory O’D, James Harwood, James McQueen, Dilwyn Rowlands, Stephen Jones, Don Williams, Tammy Ddrwg Lewis-Jones, Andrea Rowlands, Ellie Salisbury, Megan Hughes, Louise Emery-Jones, Becki Law, Maggie Oliver, Helen Blair, Annie Williams, Jennifer Williamson, Alexandra Fletcher, Becca Roberts, Miranda Grant, Annabelle McQueen, Hayley Turner, Alison Donnelly, Maggie and Alwyn Oliver, Stuart McDonald, NeeNee LJ, Ann Lewis, Sharon Owen, Karen Jenkinson, Mike Blake, Sioned Ellen Rowlands, Tina Louise McDonnell, Anthony Paul Davies, Tamsin O’Neil, Iowerth Roberts, Sue and Eric Roberts, Mair and Wills. 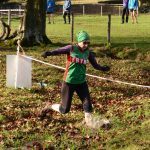 The North Wales Cross Country Champs are on Saturday 6th January. There is also a junior league, dates to be confirmed, will keep you posted.